CAMBRIDGE, MA – Nature has produced exquisite composite materials—wood, bone, teeth, and shells, for example—that combine light weight and density with desirable mechanical properties such as stiffness, strength and damage tolerance. Now, a team of researchers at the Harvard John A. Paulson School of Engineering and Applied Sciences (SEAS) has demonstrated a novel 3D printing method that yields unprecedented control of the arrangement of short fibers embedded in polymer matrices. They used this additive manufacturing technique to program fiber orientation within epoxy composites in specified locations, enabling the creation of structural materials that are optimized for strength, stiffness, and damage tolerance. Their method, referred to as “rotational 3D printing,” could have broad ranging applications. Given the modular nature of their ink designs, many different filler and matrix combinations can be implemented to tailor electrical, optical, or thermal properties of the printed objects. “Being able to locally control fiber orientation within engineered composites has been a grand challenge,” said the study’s senior author, Jennifer A. Lewis, Hansjorg Wyss Professor of Biologically Inspired Engineering at Harvard SEAS. “We can now pattern materials in a hierarchical manner, akin to the way that nature builds.” Lewis is also a Core Faculty Member of the Wyss Institute for Biologically Inspired Engineering at Harvard. 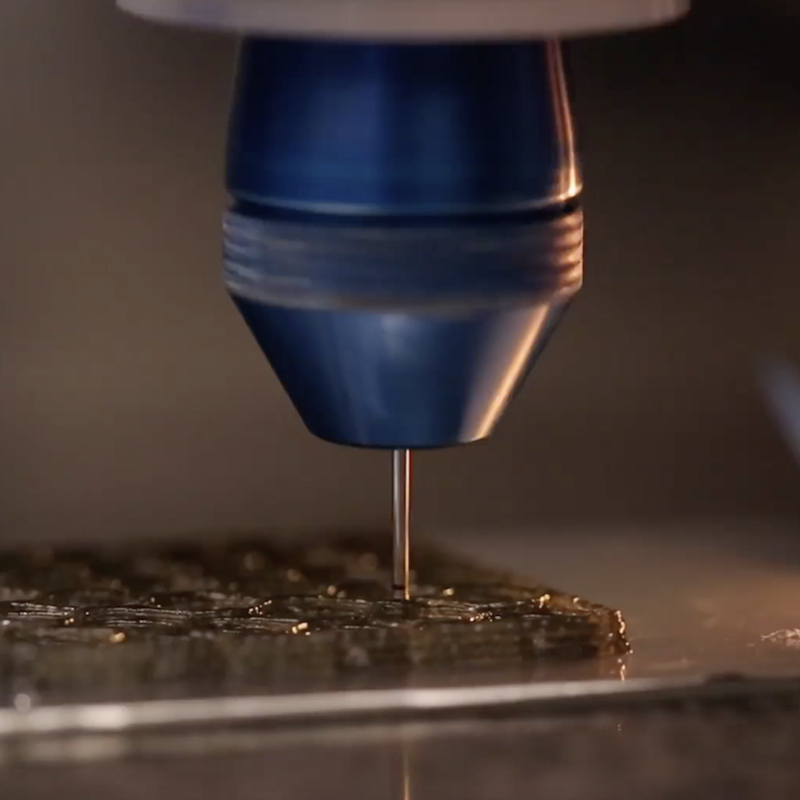 The technique allows for the 3D printing of engineered materials that can be spatially programmed to achieve specific performance goals. For example, the orientation of the fibers can be locally optimized to increase the damage tolerance at locations that would be expected to undergo the highest stress during loading, hardening potential failure points. “One of the exciting things about this work is that it offers a new avenue to produce complex microstructures, and to controllably vary the microstructure from region to region,” Raney said. “More control over structure means more control over the resulting properties, which vastly expands the design space that can be exploited to optimize properties further." "Biological composite materials often have remarkable mechanical properties: high stiffness and strength per unit weight and high toughness. One of the outstanding challenges of designing engineering materials inspired by biological composites is control of fiber orientation at small length scales and at the local level,” said Lorna J. Gibson, Professor of Materials Science and Engineering at MIT, who was not involved in the research. “This remarkable paper from the Lewis group demonstrates a way of doing just that. This represents a huge leap forward in the design of bio-inspired composites." The Harvard Office of Technology Development has protected the intellectual property relating to this project. Previously, Lewis has conducted groundbreaking research in the 3D printing of tissue constructs with vasculature, lithium-ion microbatteries, and the first autonomous, entirely soft robot. Other contributors to the paper include Thomas Ober from Harvard SEAS and Kristina Shea from ETH Zurich. The research was supported by the Office of Naval Research and GETTYLAB.